This "conversation" on Leadership and Diversity highlights the fact that diversity is multifaceted. It is simple in concept, yet complex - depending upon the context. Successful leaders understand the implications of diversity; but even more so, they know how to lead and manage a diverse workforce. The Diversity At Work Series is designed to help leaders, just like you, harness the power resident in their workforce. How often do people hear the same word/term, yet have different ways of defining or describing what it means? It happens very often. So, one of the first things I like to do is get on the same page to prevent confusion based in "semantics." With that in mind, think of the word "diversity." What does it mean to you? Many times we think of "differences." Differences based on race, gender, age, physical ability, etc. We may also think that because something is different, it is less than in quality or degree (not as good as its counterpart). But Merriam-Webster's dictionary defines diversity as "being composed of differing elements or qualities." It relates to "variety" and includes ways in which we are different AND similar. Bottom line: we are all diverse (or different) - because no two people are exactly the same. 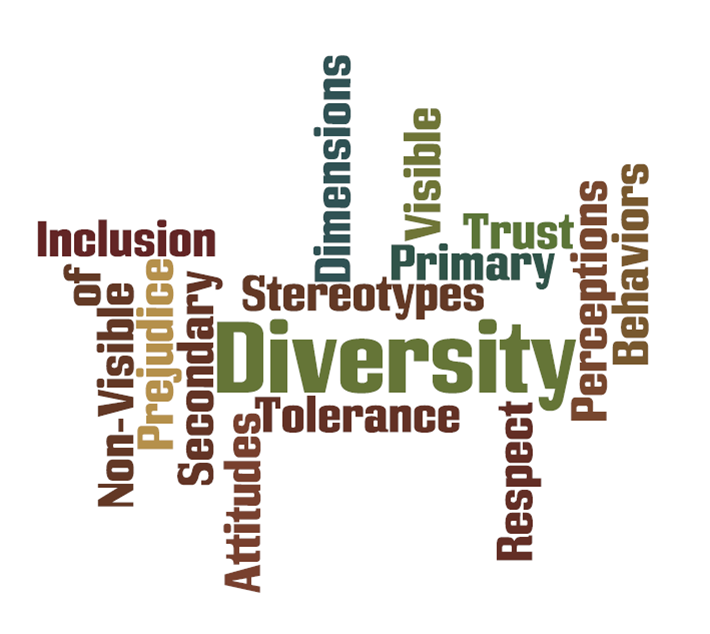 Marilyn Loden, in her book "Implementing Diversity," identifies two dimensions of diversity: Primary and Secondary. Primary Dimensions include gender, race, age, etc. They are those attributes we possess that cannot be changed (or are very difficult to change.) Those things that are "set" from birth. Secondary dimensions are attributes that can change and include such things as: marital status, income, education, geographic location, etc. Leaders all over the world grapple with this issue of diversity - some struggle more than others in leading and managing a diverse workforce. Unfortunately, human nature tends to be pre-disposed to judging people based on one element of diversity. This thinking leads to making decisions about what a person can or cannot do, BEFORE giving them the chance to show you what s/he can or cannot do. Bottom line, one must believe that each member of their team deserves to be treated equitably; that regardless of the dimension of diversity, the person is of value. Successful leaders are able to deal effectively with a variety of people of all races, nationalities, differing abilities, etc. They are culturally competent. Your success as a leader is directly related to your ability to tap into the highest potential of ALL employees. That means being very intentional in "leveling the playing field" so everyone has the opportunity to be their very best. The leader who leads not only values differences, s/he values people. This practice is built on a foundation of respect and dignity, which is treating people as though they are valuable - that they really matter. Leading A Diverse Workforce for more information. Leadership and Diversity includes understanding diversity of styles.